Since a foreign minister represents his or her country at all international conferences, he or she has to be highly educated. Sometimes a very experienced diplomat is appointed as foreign minister, at other times a popular politician is selected. Pakistan, being a nuclear armed state with plenty of problems of its own, is in urgent need of a foreign minister. But at present, it is Prime Minister Nawaz Sharif (NS) who is doubling as the foreign minister of the country. We have had some very good foreign ministers, one of them being Sahibzada Yaqub Khan, the longest serving foreign minister of the country. Besides being a retired general, he knew several languages, and was once our ambassador to the United States. 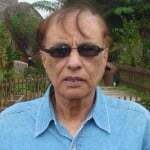 There have been others, very able lawyers like Zulfikar Ali Bhutto and Syed Sharifuddin Pirzada. For some strange reason, General Yahya Khan apparently thought he would make a very good foreign minister (while being president at the same time). We know what happened during his reign: the country was dismembered. As far as I know, NS is not suited to be our foreign minister. He is fluent only in one language, he has to read from pieces of paper when he talks in English (which he does very slowly), and he does not have the type of personality that a foreign minister should have, like Hillary Clinton, John Kerry, and of course Sahibzada Yaqub. But it’s our bad luck that he is the one who decides such things, so we’ll have to exercise the utmost patience and bear with him, like the unlucky chaps in the foreign office. I can imagine NS presiding over a meeting in the foreign office to discuss how to react to Afghanistan’s latest tirade against Pakistan. NS: We should send our navy and occupy Kabul. Official: Sir, Kabul is not a seaport, our navy can’t get there. NS: I know there is a lot of water near Kabul, maybe it’s a river port. Official: Sir, the river is too shallow and narrow for our navy to get there. NS: So send the navy to any other town in Afghanistan. Official: It’s a landlocked country; you can’t send a warship there. 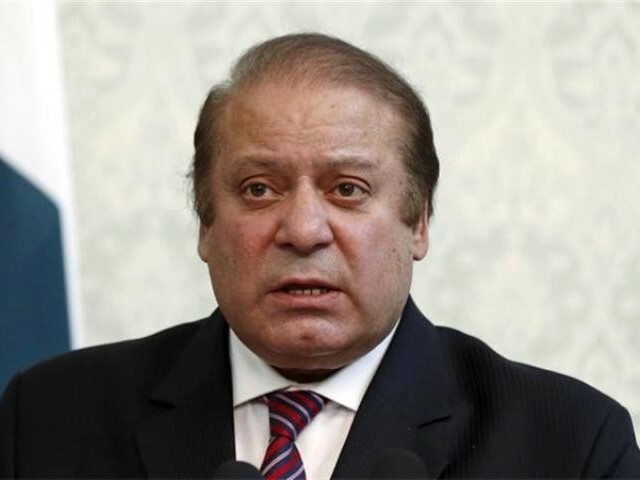 NS: We could drop an atom bomb over Kabul? Official: The nuclear cloud would be transported to Peshawar and Islamabad within minutes – thousands of Pakistanis would die as well. NS: What’s the use of having nuclear weapons if we can’t use them? Official: We have them to deter India from invading our sacred land. NS: India? How can the Indians ever think of invading Pakistan? Official: They’ve done that in 1965 and 1971. NS: I was too young at the time, no wonder I don’t remember it. So why don’t we drop an atom bomb on Botswana? Official: We don’t have any disputes with that country; in fact only India and Afghanistan are bothering us nowadays. NS: But we have to use our nuclear weapons to show everyone that we are a nuclear state! Official: Everyone knows that, sir, we don’t need to carry out any more explosions to prove it. NS: So what do we do with Afghanistan? Official: You, being the foreign minister, could go there and tell them that what they’re doing is not cricket. NS: Cricket? I didn’t know they played cricket in Afghanistan. Official: They do, some of those Afghan refugees learned how to play cricket and formed a team when they went back and they play it pretty well. NS: I don’t want to go to Afghanistan. I don’t like their nihari paaya. Send Sartaj Aziz. Official: He’s not the foreign minister – they don’t take him seriously. Why don’t you appoint someone else as foreign minister? NS: What? How dare you suggest such a thing? I’m the only one who can be both prime minister and foreign minister of Pakistan! Official: Yes sir, you are right. There are 200 million people in the country, and only you can be the foreign minister of Pakistan. I’ll write this in my memoirs. I’ll tell this to everyone I know, I’ll even tell my grandchildren – east or west, NS is the best! Very funny..I wish could say good satire, but I fear it’s probably an accurate representation of a conversation with nawaz sharif. What Foreign Office? What unlucky chaps? There is a Foreign Office? Where? In Raiwind? Larkana? Is Maryam Sharif running it? Hamza? Loan Scheme, and with no oversight and experience!! ‘He does not have the type of personality that a foreign minister should have’. Well what would you expect? Except to stalk other commenters on ET.. That’s the karma. 1400 years under Muslim yoke. I’ll respect him if he actually agrees to the panama investigation. Until then he will fover be tainted with accusations of money laundering, tax evasion and corruption….no matter how many elections he manages to win using the partonage and other avenues available to him. With all due respect, I would like to submit that the question raised by the writer is out of context. Prime minister should not hold any other portfolio than concentrating on his own job. Prime minster is chief executive of the country and his primary job is to build a good team to run the country efficiently. There should be two basic qualities in a prime minister. The first is that he or she should have the vision to achieve, and the second pertains to selection of the right person for the assigned job. But unfortunately he has neither of the qualities, and therefore in my opinion he does not qualify to be a prime minister. Despite of my above view about his capability, I can not challenge his position because he is an elected prime minister, and in my opinion, worst democracy is better than a benevolent dictatorship. We have already experienced more than three decades of military dictatorship. The first regime caused disintegration of the country and other two tattered the nation into sectarian and ethnic segments, plunging the whole country into chaotic conditions. I want to point out one serious deficit in the present multi-party system. Under this system usually minority party rules the country. In the 2013 general election PMLN gained only 33 percent of the casted votes. But looting the country’s exchequer is a crime. Unfortunate, the rubbish is you and people of your ilk..
outfit is being given free rein, in your province.